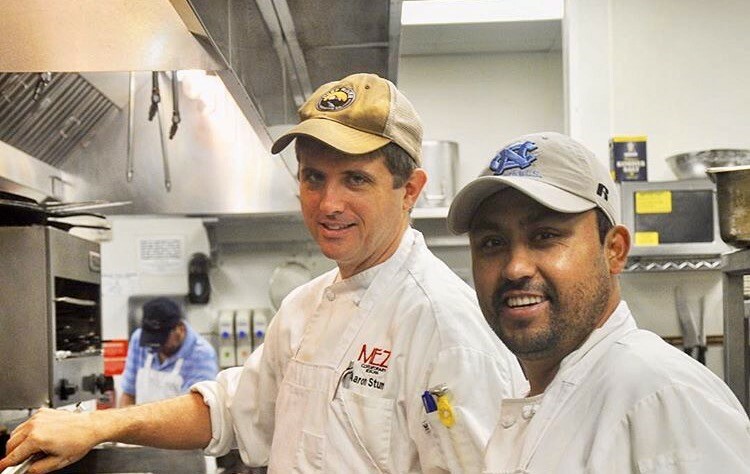 The owners of Chapel Hill Restaurant Group – Mickey Ewell, Greg Overbeck, Pete Dorrance and Kenny Carlson – a partnership that has always been ahead of the curve. Ewell started the company when he opened Spanky’s on Franklin Street. Although he had no experience in the restaurant industry, Ewell recognized the need for a great hamburger in Chapel Hill, and filled it when he opened Spanky’s in 1977. Overbeck, Dorrance and Carlson all worked at the restaurant and made their way up through the ranks to form a management team that ran the restaurant for several years. After opening two additional award winning restaurants in Chapel Hill (Squid’s Seafood Restaurant and 411 West Italian Cafe) CHRG blazed a new trail in the Research Triangle Park with their newest restaurants, Mez Contemporary Mexican and Page Road Grill, a restaurant dedicated to modern southern cuisine. Both provide sophisticated, locally sourced menus for Research Triangle businesses and a convenient meeting place between Raleigh, Durham and Chapel Hill. 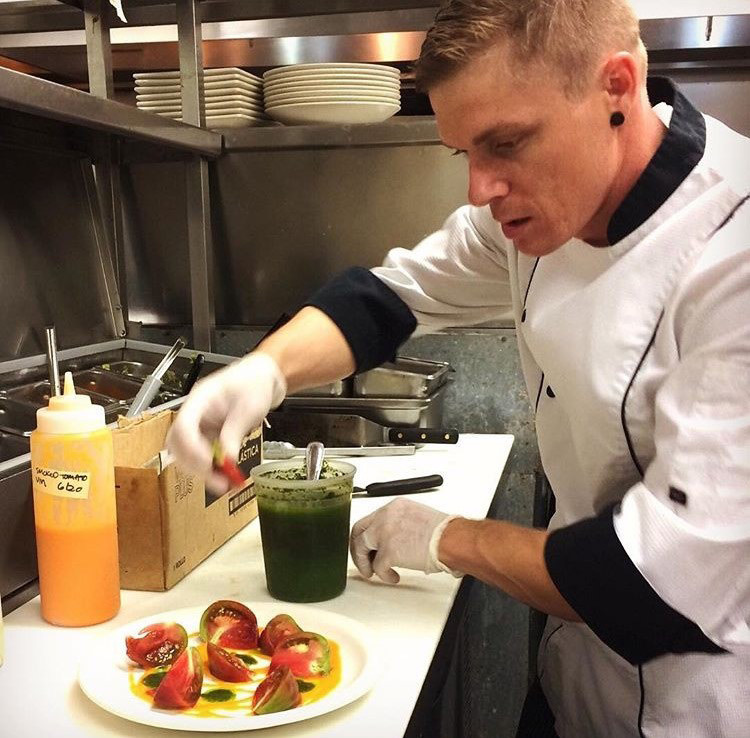 Conveniently located in the heart of the Triangle, just minutes from Raleigh, Durham and Chapel Hill, on Page Road off I-40 (Exit 282), MEZ features traditional Mexican recipes with a modern, healthy twist, and use locally grown organic products whenever possible. MEZ also offers a beautiful private room that can accommodate 80 to 100 people for business lunches, rehearsal dinners, or any other occasion. MEZ is North Carolina’s first LEED (Leadership in Energy and Environmental Design) designed restaurant. 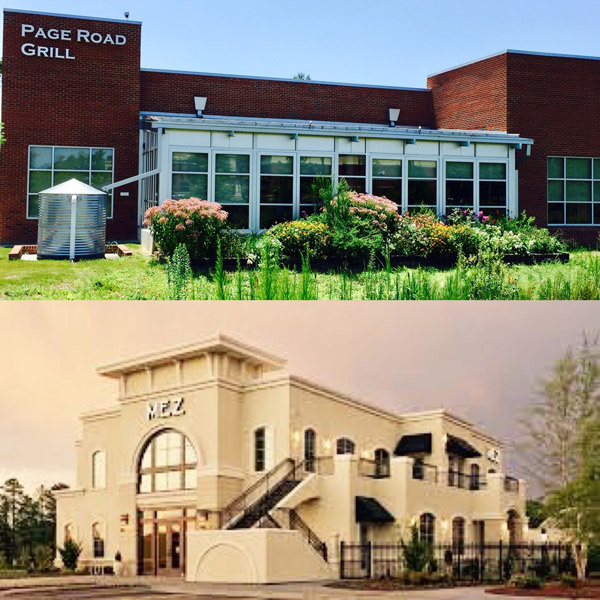 Page Road Grill offers traditional American cuisine with a Southern twist, featuring salads, burgers, steaks, deli sandwiches and innovative vegetarian fare. Our full service bar offers 20 beers on tap in addition to signature cocktails and a full wine list. Page Road Grill features a separate bar with high definition TV’s to watch sporting events, patio dining, and two private rooms. PRG’s expanded kitchen allows CHRG Catering to offer box lunches, buffets and plated meals for private and business clients. Why CHRG in the RTP? On the busiest corner of the Research Triangle Park, the possibilities are endless. Here at CHRG, we believe that only a happy and professional staff can give the level of personal service we demand. We believe in the ongoing training and development of our staff and see it as a worthy investment in the future of the company. You’ll have a chance to work with some of the most talented and experienced chefs and restaurant managers in the area. And with the quickly rising expansion of RTP who knows what will be next for the CHRG Restaurants! Our CHRG Restaurants strive to provide the value of quality service and outstanding food at an affordable price in an upscale casual setting. We are committed to creating the best possible dining experience from our first contact with the guest through the end of the meal. We have also chosen to accomplish our goals sustainably, and we are proud of our efforts to become a leader in our industry. We were named “Sustainable Business of the Year” in 2007, we were the first Green Plus certified business in the United States, and MEZ was the first LEED (Leadership in Energy and Environmental Design)-designed restaurant in North Carolina.